From a technical point of view, it takes only a few days to get a repository up and running. Moreover, the technical maintenance can be integrated into the institution’s existing IT-support and maintenance procedures (see openAIRE guidelines on how to integrate with OpenAIRE infrastructure). All that is needed is a standard web server and open source software, freely downloadable from the internet. Well-known software providers are EPrints.org, DSpace, MyCoRe and Fedora. Different software solutions have similar functionalities: documents can be registered, and metadata can be assigned and harvested by using an Open Archives Protocol for Metadata Harvesting (OAI-PMH) interface. The OpenDOAR directory allows to compare the appearance and functionality of the various software systems. While certification such as the German DINI Certificate is a means of assuring that repositories meet well-defined standards of quality, the linking and interoperability of repositories is an important prerequisite for the findability and visibility of archived documents and the provision of value-added services. The real challenge is to get the repository firmly established within the institution and to recruit content. Even though many universities expressly request their scholars to make their work openly accessible in repositories, self-archiving is often not compulsory. In that case, a well-thought-out public relations strategy and good advertising is important. Once scholars understand what repositories are about, most are willing to deposit their work. A survey conducted in 2004 on behalf of the Joint Information Systems Committee (JISC) and the Open Society Institute (OSI) revealed that most authors would be willing to make their contributions openly accessible if a grant-awarding body required them to do so (JISC/OSI Journal Authors Survey Report). The most sustainable way of populating a repository is by mandating that faculty or a research organisation make their research results and publications openly accessible in the institutional repository. Many institutions have already made this commitment (click here to see a list on ROARMAP), or are planning to do so in the near future. Another efficient way is to target scholars directly. Authors who have already made work openly accessible are often prepared to continue to do so and are also frequently willing to recruit content on the repository’s behalf. It is also advantageous to win the support of leading researchers who are willing to act as multipliers in this way. 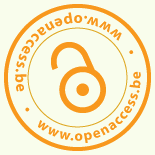 It is important to counter the reservations towards and show the advantages of Open Access within the institution. Of course, the above list is non-exhaustive! See also the Sustainable Best Practices for Populating Repositories Report.